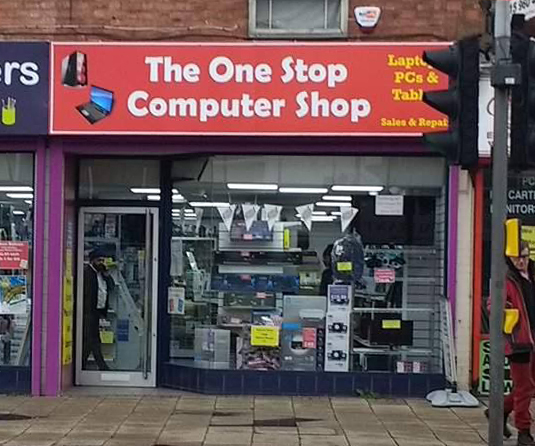 Established in 2004, The One Stop Computer Shop has gone from strength to strength and has fast become the favourite choice for all things computer related within Nottingham. We pride ourselves on providing ‘A wider range at the lowest prices.’ Our extensive product range and our complete laptop and computer repair service highlights that we are ‘Your Local One Stop Computer Shop’. All of our stock is in store and ready for collection. We will match or beat any other local shop for a like for like product or service! We offer friendly, simple and easy to understand advice for all your computer needs. Our low cost repair service makes most things worth fixing but in addition to our repair service we also offer a part exchange for customers who would rather get rid of their old or faulty laptop and make a saving towards a new or another pre-owned computer.